AG2R La Mondiale's Oliver Naesen will start his 2019 season at the Spanish Volta a la Comunitat Valenciana with the objective of starting off the year with a good foot. 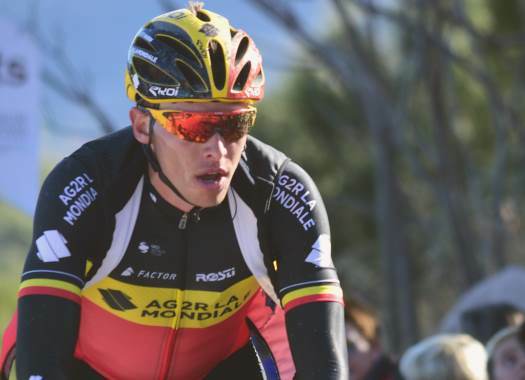 The former champion of Belgium is ready to start his season ahead of the classic season, where he wants to peak. "I had a very good winter, but now I'm looking forward to racing again," he commented. "That way you can quickly erase any questions about your form because the training is never the same as competition. "The goal of my winter preparation was to make further progress. I had a big month in December, then rested during the holidays before doing heavy workloads in January. I have been a little quieter for the past few days so that I can attack the races feeling fresh. Since January 1st, I have ridden 3,700km." The Spanish race is a good way for Naesen to start his season and test his form ahead of the beginning of the classics season, where he wants to take at least one win. "I am coming to Valencia with a lot of desire to do well because I have missed racing," he explained. "I want to succeed in my classics campaign with the sole objective of winning one, starting with the Omloop Het Nieuwsblad (March 2). I do not want to miss my chance. Each classic will be like a World Championship."